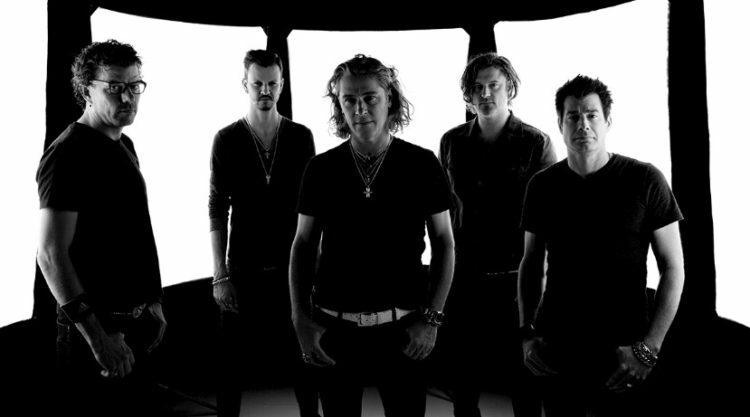 If anyone remembers back in the early 90s Collective Soul seemed like another band that was trying to take its piece of the grunge act for a little bit but veered off just enough to take their own direction and become something just a little different. The grunge era was something that a lot of people got into and cashed in on but Collective Soul managed to find another way to promote their music and kept to rock thankfully. Their earliest hits were something that seemed a little underwhelming but over time manage to become something that was actually newsworthy and became big hits as the band continued to expand their influence and change their lineup in accordance with the need to stay on the cutting edge. To date they’ve gone through a few band members, but their sound is still something that’s very enticing and able to keep people entertained and listening. Here are some of their songs that have been featured in movies and TV. There might not be a lot of people that know much about the Jerky Boys since they were kind of a ‘there and gone’ kind of movie. But they were insanely funny since they were essentially the crank yankers before there was even a show titled Crank Yankers. They were guys that would crank call people and in the movie this got them into more trouble than they could handle most times, especially when it came to the mafia and cops. When they tried to get the cops involved in an attempt to take down the mafia however they figured out quickly that the mob and the cops were in cahoots and therefore their lives became a little more worthless. The Skulls was a movie that probably shouldn’t have inspired any sequels, let alone two or more, but the original was interesting in that it had Paul Walker and Joshua Jackson when he was still fairly popular, and it kind of played upon the disparity between college students that were working for their education and those that had mom and dad pay the bill. In essence the Skulls was an organization that stood behind just about everything in America and was so connected that getting away from them was virtually impossible. But if you went along with them then the world was yours for the taking, so long as you followed the rules and didn’t rat them out to anyone, ever. NCIS has changed over the years in many ways. In fact the original crew now consists of so few of those that a lot of us got used to that it’s almost a new show with the same wrapper. One thing is for sure though, the writers and producers have made it possible to start liking the newer characters since they integrate them in a way that makes sense and they give the audience reasons to actually like them. From Kate to Zeeva to Tony to Director Shepherd to anyone and everyone we got used to on this show, those that have been written off have been remembered fondly, but those that are brought in are vetted just enough to make them worthwhile to the show. Mox and the guys were already tired of Kilmer when the movie started but they were bound and determined to play for him anyway since that was what was expected and that was what the town wanted from them. When you’re riding high on so many district championships in a row it’s kind of hard to just give it up and go on your merry way. But what Mox and the others did in the final game was finally find a way to oust Kilmer and do things on their own terms, which worked in such a spectacular way that you can’t help but think that it was a new day for the football team and a new era that was going to be far more positive. This was one of the first songs that a lot of people can remember by Collective Soul unless there are those that remember listening to them before they got famous. When MTV was still mostly about music this song was one of those that got played again and again during the certain runs and was fully enjoyed the entire time. Something about the way it goes and the “yeah” part of the song is just contagious since there’s not a whole lot of lyrics to it despite the fact that there feels like it makes up for the lack with a great deal of substance. In many ways this was a perfect song and video for the era in which this band came to prominence. Heaven let your light shine down.